First, the wonderful virtual drum kit from TOONTRACK, Superior Drummer 2.0 (download 2.2 update after registration), can be had for only $149 (vs normal $299) during November with an “instant rebate” through many music instrument dealers. As of today, Musicians Friend has this deal along with a free 10 song download card from EMI Digital. The instant rebate price is much better than the normal “crossgrade” price of $229, for owners of BFD or Battery, etc. The version of this deal at Sweetwater throws in the Custom and Vintage SDX but sells at normal price for Superior 2.0 of $299 (also a deal if you want the add-on kits); and you can buy it alone for $149 also. Users of EZDrummer can also upgrade to Superior 2.0 now for only $99 while this deal program lasts. 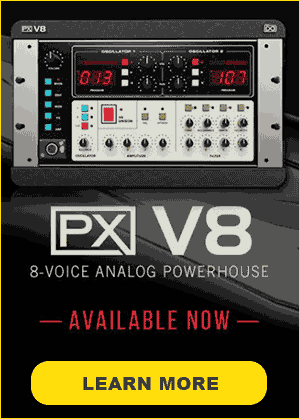 If you want to try exploring new arenas of sound for a pittance, and perhaps try something beyond the everyday ROMpler sounds found in your keyboard or the average synth plug-in, check out the group buy deals this month at CAMEL AUDIO. The quite amazing “Alchemy” music instrument (it’s an additive synth with spectral and granular sample manipulation – and can do things similar to, if not better than, the old Kawai K5000 line, and perhaps similar to the Hartmann Neuron) and “CamelSpace/CamelPhat” FX plug-ins are now 40-50% off. This group buy deal ENDS on Monday, Nov. 16th, 2009. Also as part of this promotion, folks buying ALCHEMY will get an additional 1.7GB of choirs, basses, keys, and synths; 90 presets from top sound designers, and 40 minutes of new video tutorials. To help support their products, Camel have also launched a YouTube channel to showcase their applications and tutorials. In any event, if you can get ALCHEMY for $125, it’s a fantastic deal, and it sounds completely different than any of the more common “subtractive” synthesis plug-ins you already have. 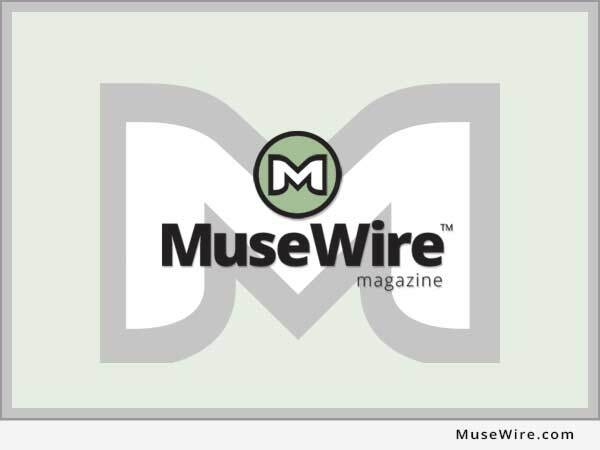 Ready to jump to a Windows 7, 64-bit Windows PC for music? Why? How about finally being able to use more than 3GB of memory? If you use any big sample libraries, like East West Play, Superior Drummer, or want to run multiple instances of things including monster convolution reverbs in real-time, you will finally be able to. There are also now some smoking holiday deals on “in between” PCs, meaning those that perhaps don’t yet have the new i7 series processors from Intel, but do quite nicely with a Core2Quad or AMD multi-core set-up. Frankly, in many cases, it’s now cheaper to buy a new box, than to try to upgrade your existing box with a new motherboard, memory, processor, and a copy of Windows 7 64bit. So, how cheap can we go? I thought I’d see what $599 would buy right now, for those thinking they need to upgrade. 1) One amazing starter box, the Gateway DX4300, with AMD Phenom II X4 (quad core), 8GB DDR2, 1TB HD, ATI Radeon HD, Win 7 64-bit, HD audio, TV tuner (note: base HD is 5400RPM, which is fine for most system drives, but audio drive should be 7200RPM) — $599. 3) Also at Newegg, the CyberpowerPC 3315, with Core 2 Quad, 4GB, GeForce video, Win 7 g4, 500GB HD — $579. 1) A nice little HP g71t dual-core (Intel T4300), 4GB RAM, 17.3-inch, 250GB HD, NOTEBOOK with Windows 7 64bit, is only $599. Use an external USB drive for audio. 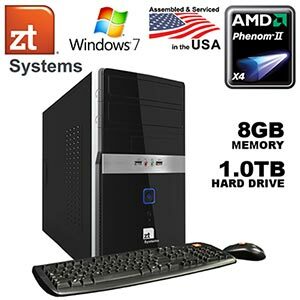 2) The ZT Affinity 7227Ma, comes with an AMD Phenom II X4 (quad core), 8GB RAM (maximum supported), 1TB HD, media card reader, and Windows 7 64-bit, 2 year warranty — $599. The last item is perhaps the “smokin’ deal” on a new starter 64bit PC. I’m not entirely sure you could build that yourself from all the parts. Note that ZT is a US PC maker, and a similar model with different part number may be available at other resellers. Note – with all of the above desktop models, you could also get a Western Digital 1TB SATA HD for $85 to install as second (audio) drive. Bumping any of the 4GB models to 8GB RAM would cost about $90. These are just examples of how cheap you can go. Obviously you can spend double the above examples and get a studio work horse. Spend triple that and rule the world. That’s it for today…. more deals as I have ’em.